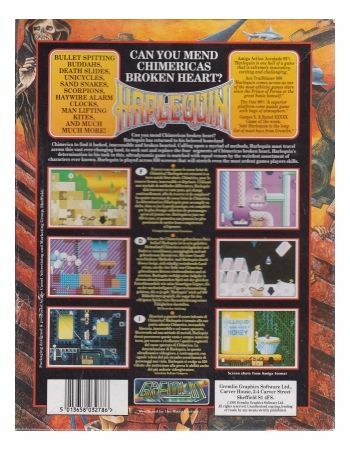 Can you mend Chimericas broken heart?Harlequin has returned to his beloved homeland Chimerica to find it locked, inaccessable and broken hearted. 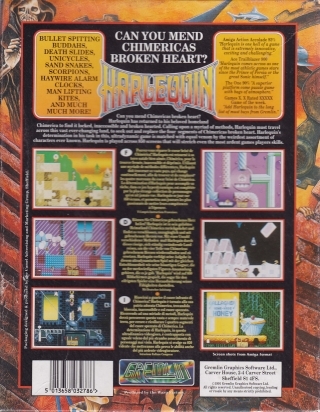 Calling upon a myriad of methods, Harlequin must travel across vast ever-changing land, to seek out and replace the 4 segments of Chimericas broken heart. 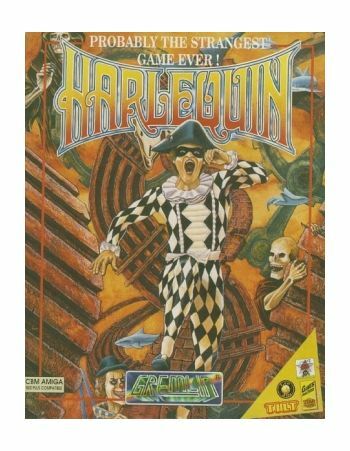 Harlequin's determination in his task in this, ultradynamic game is matched with equal venom by the weirdest assortment of characters ever known. 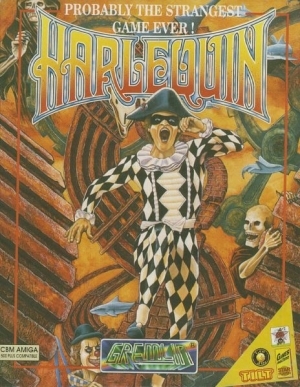 Harlequin is played across 850 screens that will stretch even the most ardent games players skills. Manual included. 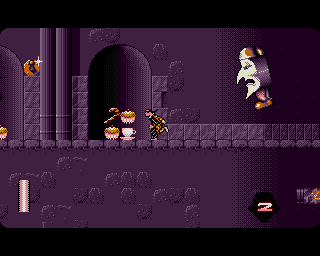 Not Box has some crush damage. 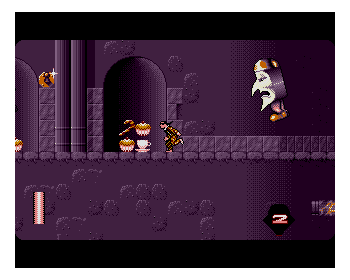 A500+ COMPATIBLE.